Gabrielle and Samantha’s New Mom is a friendly kids’ book about two sisters in foster care meeting their intended adoptive mother. 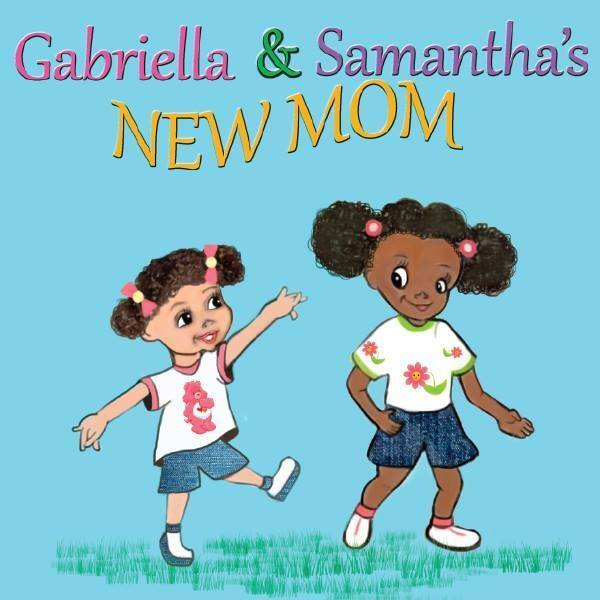 The story is written from experience by foster care alum Pauline Rose Moore, and is strengthened by bright, inviting illustrations of Gabrielle and Samantha along their journey. The story captures the excitement and anxiety Gabrielle and Samantha feel as their social worker drives them to the family that hopes to adopt them. They have many questions for their social worker, but the only viable answer seems to be “you’ll soon see.” When they do meet their future adoptive mother, her expression of love is surprising, powerful, and unconditional. Gabrielle and Samantha’s New Mom would be a good resource for counties to provide to their young foster children who have just been matched with an adoptive family. It would also be a helpful resource for foster-adoptive families to have in their personal libraries; the story both assures kids of their adopting families’ love, but also makes room for kids to have questions, fears, and different initial reactions to the process of being matched. This book is a worthwhile investment!